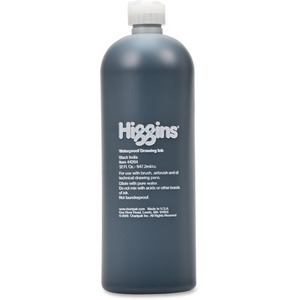 Waterproof black ink features a student-grade formula that is offered in an eye-dropper bottle. Pigment-based ink dries slowly to a beautiful, semi-gloss finish. Ink is recommended for use with brushes and dip-pens on board or paper.